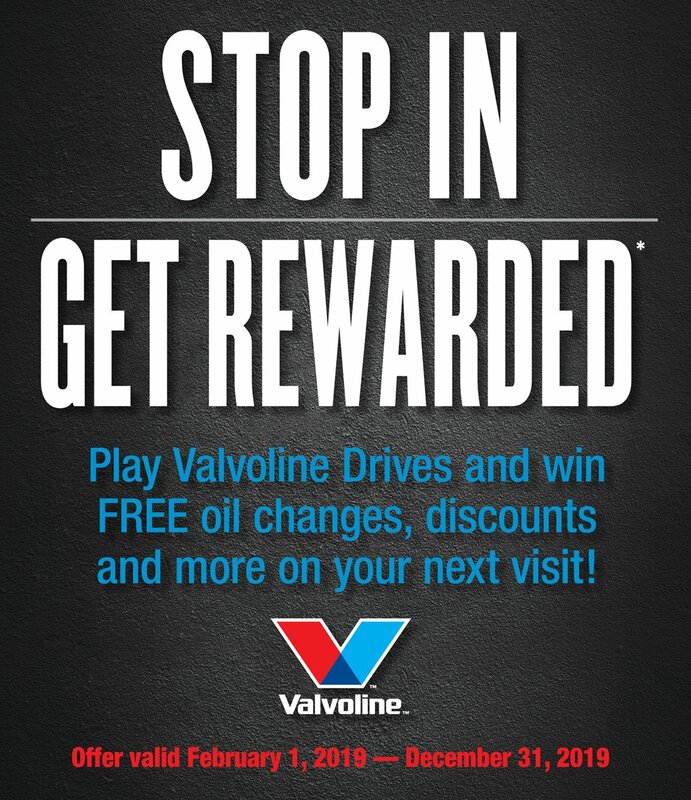 We have partnered with Valvoline to bring you discounts, prizes and rewards for every oil change you purchase at Dunn Tire! Watch the video below to learn how you can start saving today! Its simple! Just text, register and save! Schedule your next oil change now to redeem your first coupon! * Valvoline premium Oil change includes up to 5 quarts of oil and filter only (labor and additional charges may apply). Valvolline premium oil includes High Mileage with MaxLife Technology, Full Synthetic, or Full Synthetic High Mileage with MaxLife Technology. US-V-9812 ©2018 Valvoline 11/18 ™Trademark, Valvoline or its subsidiaries, registered in various countries. Choose a store to enable scheduling of any of the listed services.